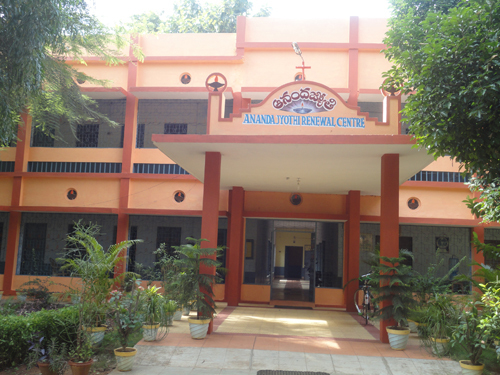 Anand Jyothi, situated opposite to Nagarjuna University, Nagarjuna Nagar, Guntur Dt, comprises at present two centers i.e. Jesuit Training Center and Renewal Center. It has a history of more than 30 years. The history of Ananda Jyothi begins with the assignment of Br. P- Balaswamy to Nagarjuna Nagar in June 1979 with the explicit mission of building a Retreat house for the clergy of Vijayawada and Guntur dioceses in the ten acres of land purchased by Andhra Loyola College. Rt. Rev. 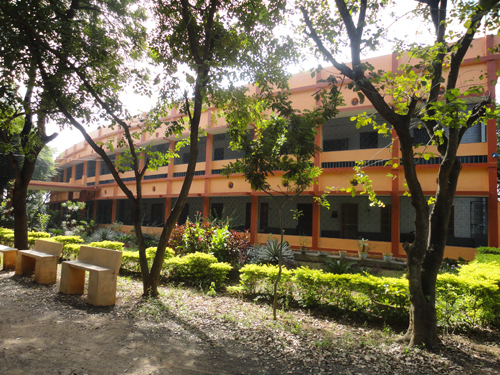 K. Mariadoss, Bishop of Guntur, inaugurated it on 22 April 1981, in the presence of Fr. T. Balaiah, the first Regional Superior of glorious memory. 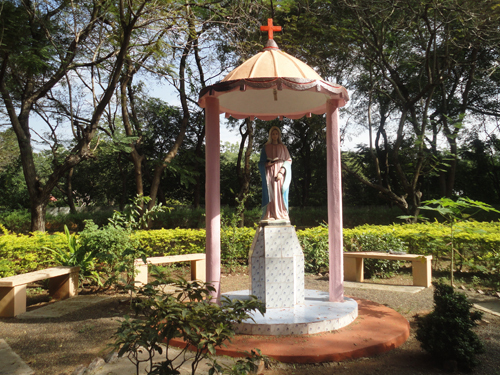 After the formation of Andhra Region in 1972, candidates were sent to Mount St. Joseph, Bangalore, for their novitiate training. As the number of the candidates was increasing year by year and as Karnataka Province was also planning to introduce Kannada in the formation of its novices, the Region had to start the novitiate of its own. 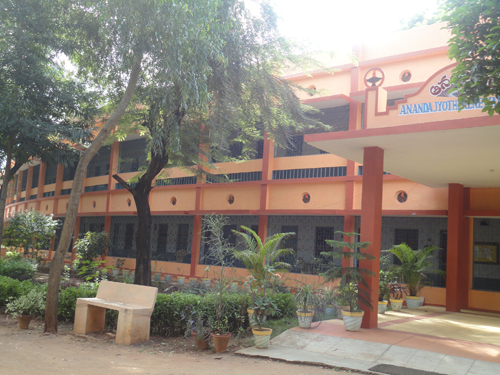 So our Novitiate was formally inaugurated on 20 June 1982 by Fr. D. Gordon with 15 novices. 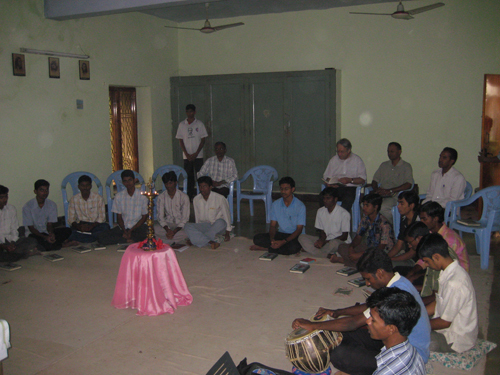 The first team of the novitiate staff consisted of Fr. A. Stanley as Superior, Fr. A.X.J. Bosco as Novice Master, Br. Susai Arul as Minister and Fr. Kulandai Raj as Socius. From the inception of the Novitiate in 1982 at Nagarjuna Nagar the formation given there was according to the norms of the Society with primacy given to prayer life. The novices were sent to Guntur, Vegavaram, Bhimavaram or Nunna for experiments in hospital, leprosy centres or the Center for the mentally retarded children. They also help in some of the programmes of VRO(Village Reconstruction Organization) like Bala Mela, construction works in villages, laying of roads, archeological survey etc. They were also initiated to social awareness through inputs sessions and exposure programmes. Continuing the good works started by Br. Susai Arul of happy memory in helping the christian communities in Nambur, Kaza and ChinnaKakani the novices go regularly to these villages to conduct prayers, teach catechism to children and assist in arranging Eucharistic celebration. Fr. John Joseph is the superior of the Community for both the houses (Novitiate and Retreat house) since 15th June 2011. Besides being the superior he is also the Director of the novices. His main work consists in guiding and helping the novices. He listens to them patiently and helps them discover and discern their vocation. There are at the moment 19 novices out of which 13 are first years and 6 are second years. Fr. Ashok is the Socius to the Novice Master. 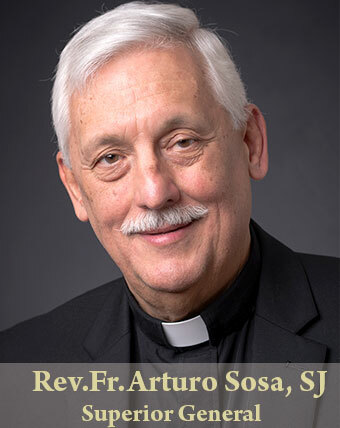 He is the in charge of the discipline in the Novitiate. He is the treasurer for the whole campus. He also takes care of the farm in the Novitiate. Br. Boghe is the Minister of the Novitiate. 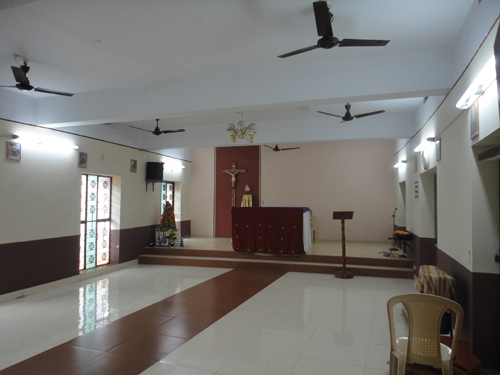 He takes care of buying and maintenance of the Novitiate. He plays a very vital role by meeting the needs of the members of the Novitiate.